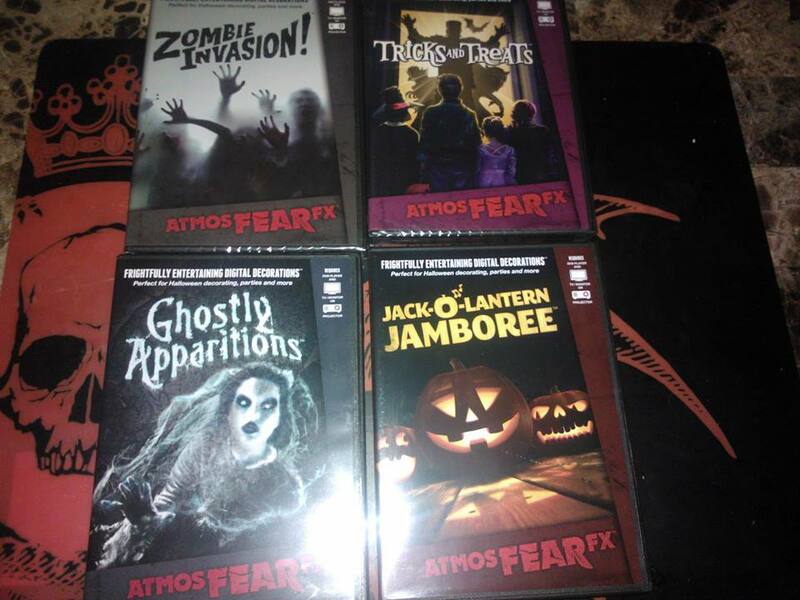 We now have 6 DVDs in total from AtmostfearFX including these most recent ones we just got! The new Pumpkin Jamboree and the Ghostly Apparitions DVDs are awesome! I should hopefully be putting together a video this weekend to show how I plan to use the pumpkin one if the weather plays nice. If not I suppose I could make the video indoors as well. « Really Awesome Projector for Haunts!